THIS ANNOUNCEMENT IS A REBULLETIN TO REOPEN FOR FILING. PERSONS WHO HAVE ALREADY APPLIED WITHIN THE LAST 12 MONTHS NEED NOT REAPPLY, BUT MAY SUBMIT ADDITIONAL INFORMATION BY THE LAST DAY OF FILING. THE INFORMATION MUST INCLUDE YOUR NAME, THE CORRECT EXAMINATION TITLE AND NUMBER. January12, 2018 @ 8:00 a.m. RESTRICTED TO EMPLOYEES OF THE COUNTY OF LOS ANGELES WHO HAVE OFFICE AND CLERICAL EXPERIENCE IN AN ON THE JOB TRAINING PROGRAM AS A CAREER DEVELOPMENT INTERN, OFFICE SUPPORT/CLERICAL. Positions allocable to this classtypically report to aclerical supervisoror higher andperform specialized clerical duties requiring a working knowledge of specialized subject matter and the specialized clerical functions involved. Performance of assigned duties requiresinitiative and independent judgment within procedural and policy limits. Processesdocuments according to established procedures; examples includereports, charts, tables and lists, bills, receipts, statements, case files,permits, licenses, and notices. Reviews documents for completeness, accuracy, and compliance with legal and other requirements. Answers questions and providesinformation to the public concerning regulations, procedures, forms, applications, and permit requests. Maintains records requiring specialized knowledge and judgment in the selection, compilation or computation of data; examples includecost records and distribution and control ledgers which can be posted without extensive knowledge of bookkeeping. Compares or segregates documents where specialized knowledge of the function and more than a routine check for completeness and accuracy is involved. Utilizes office machines such ascomputers or terminals, copiers, scanners, or calculators incidental to the performanceof other duties. Searches records and files for data where judgment and discrimination are required in selecting or abstracting material. Indexes and cross-references records and files. Sorts, arranges and files documents; retrieves and issues filed materials. Calculates amounts due and collects fees. Requests, receives, stores, inventories, and issues office supplies, and maintains related records. Serves as a receptionist or counter clerk, as needed. Twelve (12) months of office clerical experience in anon­ the ­job training program as a Career DevelopmentIntern, Office Support/Clerical* approved by theDirector of Personnel in the County of Los Angeles. *Applicants must hold the payroll title of Career Development Intern, Office Support/Clerical.Only current enrollees in the Career Development Intern, Office Support/Clerical on-the-job training programs in the service of the County of Los Angeles approved by the Director of Personnel may compete in this examination for permanent appointment to the Intermediate Clerk position in accordance with the Civil Service Rule 6.02(3). 2 - Light. Light physical effort which may included occasional light lifting to a 10 pound limit, and some bending, stooping or squatting. Considerable walking may be involved. This examination will consist of amultiple choice test weighted 100% covering Written Expression, ReadingComprehension, Data Analysis and Decision-Making, Office Practices andProcedures, Customer Service, Achievement and Orientation, Dependability,Customer Service Potential, Customer Focus, Conscientiousness, and Retention. Applicants must meettheSelection Requirements and achieve a passing score of 70% or higher on the multiple choice examination in order to be placed on the eligible register. THE MULTIPLE CHOICE TEST IS NOT REVIEWABLE BY CANDIDATES PER CIVIL SERVICE RULE 7.19. Applicants that have taken identical multiple choice test part(s) for other exams withinthe last 12 months, will have their multiple choice test responses for the identical testpart(s) automatically transferred to this examination. This examination contains test parts that may be used in the future for newexaminations. Your scores will be transferred to the new examination and may not be allowed to re-take any identical test parts for at least 12 months. Invitation letters to the multiple choice examination will be sent electronically to the email address provided on the application. It is important that candidates provide a valid email address. Please add jmacam@hr.lacounty.gov to your email address book and list of approved senders to prevent email notifications from being filtered as spam/junk mail. Final results will be sent by U.S. mail.Multiple choice scores cannot be given over the phone. Study guides and other test preparation resources are available to help candidates prepare for employment tests. An interactive, Online Test Preparation System for taking practice tests may be accessed on the Department of Human Resources website at http://hr.lacounty.gov /. Please click on Job Info Center, then click on Employment Test Preparation. You can also access additional test preparation materials by going to http://www.shldirect.com/practice_tests.html . While the guides will help in preparing for the test, we advise you to review all related materials that you deem necessary. The names of candidates receiving a passing grade in the examination will be placed on the eligible register for a period of twelve (12) months from the date theregister is created. 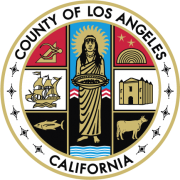 The eligible register resulting from this examination will be used to fill vacancies throughout Los Angeles County as they occur. Applications must be filed online only. We must receive your application and additional documents, if any, by 5:00 p.m., PST, on the last day of filing. Applications submitted by U.S. Mail, Fax, or in person will not be accepted. SOCIAL SECURITY NUMBER:All applications must enter a valid social security number at the time of filing. Entering anything other than a valid social security number (i.e. 000-00-0000, 111-11-1111, etc.) will result in an automatic rejection of your application. In addition, using a social security number that does not belong to you will result in an automatic rejection of your application.